Home Debt Collection Great-grandmother left ‘terrified’ over debt collection letters from Npower. Great-grandmother left ‘terrified’ over debt collection letters from Npower. The staff at a South Tyneside charity have been praised by a great-grandmother after coming to her aid over Npower energy bill issues. Pat Mountain says problems with NPower began after she moved into her new home in Julius Court, South Shields, last August. Within days she had received an energy bill, which she queried because of the speed at which it was sent out. 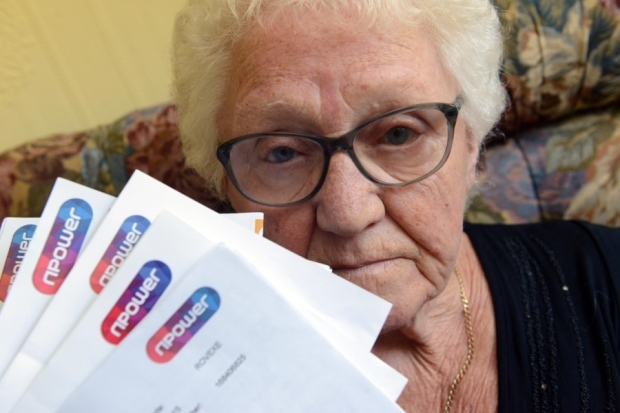 The 79-year-old then claims she failed to receive another bill for a number of months – despite handing over meter readings to them. However, when bills started to arrive it was only then a problem with the meter itself was discovered. “Due to my ill-health I was struggling to bend down for the meter reading, so I asked family and friends. It was them who noticed a problem with the meter. Numbers were going backwards and forwards”. Mrs Mountain is now encouraging other people who are having issues with energy suppliers not to suffer in silence but to seek help. There was nobody from NPower available for comment. Information obtained from Shields Gazette. Next articleMan hit with £1.4million phone bill for just ONE month.